The picture above is of CURE in Philippines. 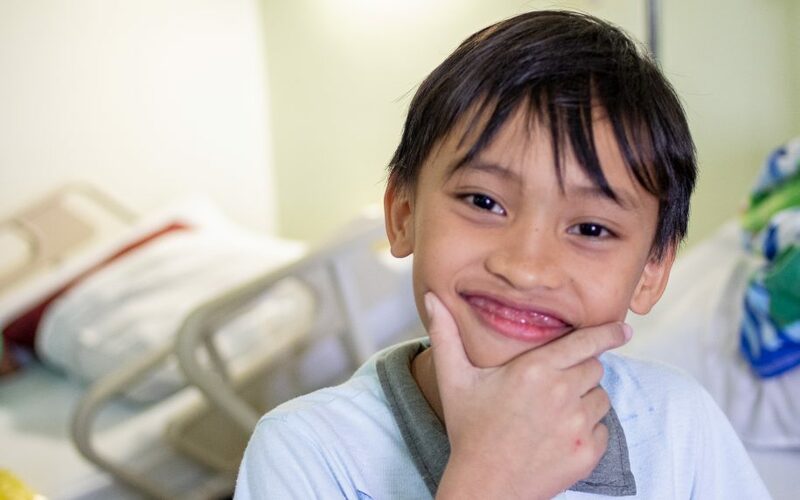 Everyone who serves with CURE in Philippines, from medical professionals to office staff, are dedicated to providing the highest quality medical and spiritual care to people who, without CURE, couldn't find it and couldn't afford it, just like Cristian. To do that, we're inviting you to partner with us. We need to raise approximately $1000 to treat children like Cristian. 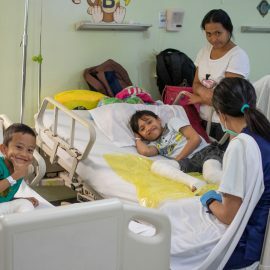 When you give a gift through Cristian's CUREkids profile, your contribution will help us continue our work in countries like Philippines. Have more questions? Ask us. When you partner with us monthly, we'll send you an email each month to introduce you to a different child who was helped because of your generosity. You can choose to follow their updates and send them get well messages. That means that each year, you're a part of helping 12 different children, beginning with Cristian. We call it being a CURE Hero! “Cristian has already had eight castings. We heard about CURE’s mobile clinic near our hometown from a teacher at our school. When we went they did his first casting immediately, then we have done cast changes since. Cristian is on a break from school, and I’ve left my one year old at home so he can get better. 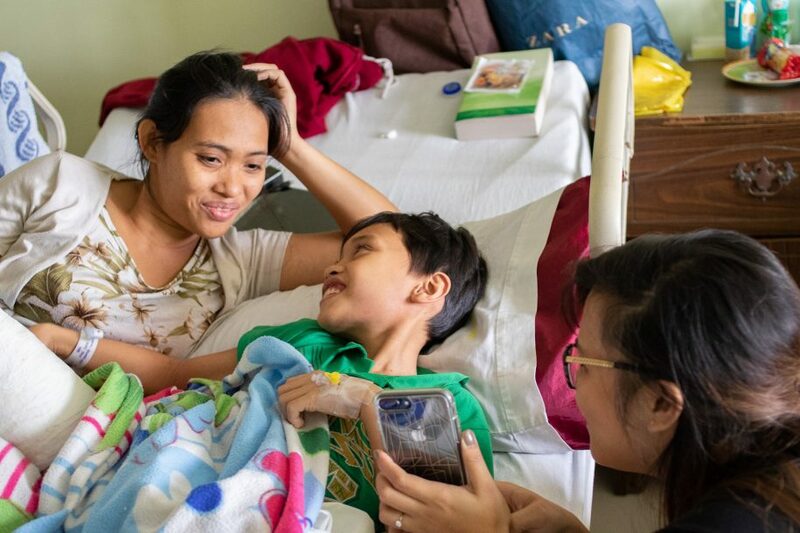 The sacrifice is OK, I’m happy to see the change already,” Cristian’s mom Cristine tells us. Fortunately, Cristine and Cristian didn’t need to leave home for an extended period of time to seek healing. Our mobile casting team went to their hometown weekly after the clinic where Cristian was first seen. 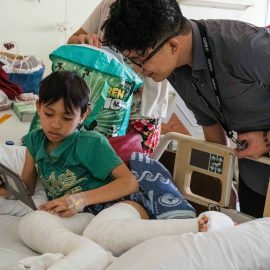 Only recently have they come to Davao, for Cristian’s last few cast changes, and surgery will be soon. 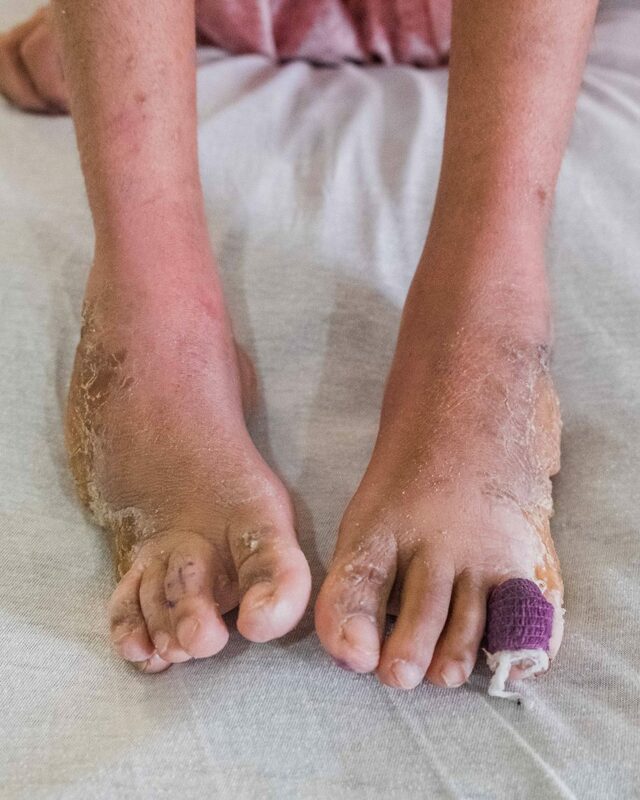 Cristine is thankful for the opportunity to see healing for her son’s clubfeet at last. 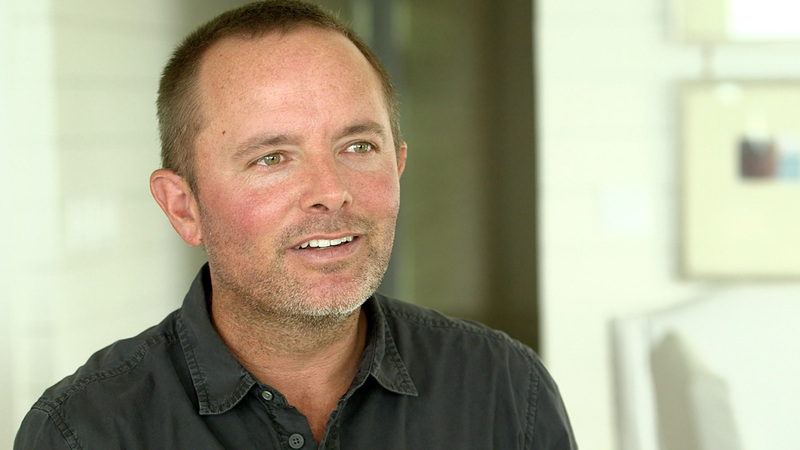 “Treatment is very expensive, and we haven’t had money to have him checked. 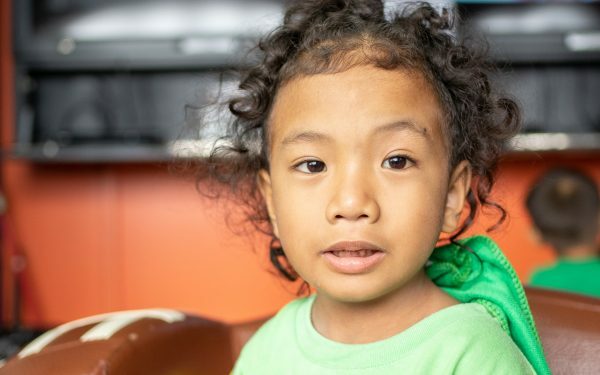 This is the first time he’s been seen.” We’re grateful that our donors create opportunities for kids like Cristian to be healed without their families suffering huge financial burdens! Cristian is quiet, but full of smiles. He loves to play with Legos, and watch the skies for airplanes, and is ready for surgery. “It might hurt!” is his honest personal assessment of how surgery might look for him. But, he’s very familiar with our staff now, so he’s comfortable and knows he’s in good hands! 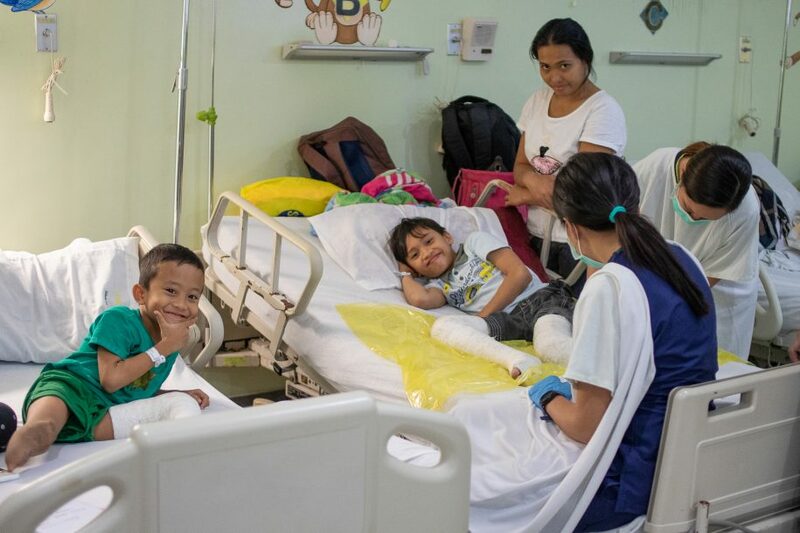 Cristian was smiling during his cast removal today, and even though he knew he had one more casting to go, he was a little disappointed when it actually happened. But, he found sanctuary afterwards in the playroom and the frown quickly turned back to a smile! We’re so proud of his patience and endurance, sometimes these kids think that they’ll be in casts forever! But, when they are walking on clubfoot-free feet, their smiles reassures them, and all of us, that it’s worth it! He’s almost there! Christian came for a cast change today, and for the first time in eight weeks, he stood up on two feet! 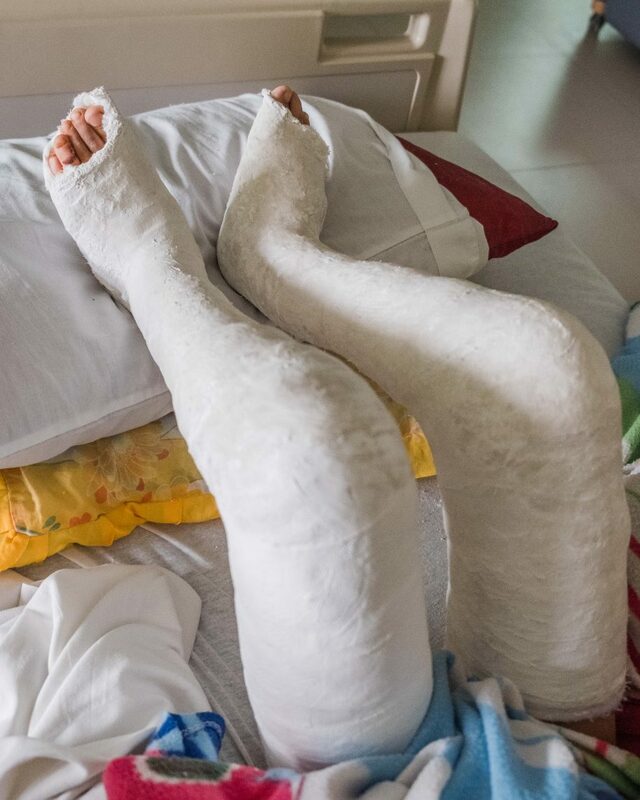 His casts have kept him sitting or lying down, so he was thrilled to get upright again. 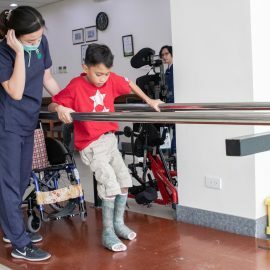 He walked the length of the poles in physical therapy twice, then sat down and announced, “I’m tired!” We’re proud of him for pushing hard though, and he’ll continue to take steps at home until he returns in a few weeks for his last cast change. "I remember you too!" says Cristian to Josiah who was a part of our community outreach team that Cristian met during mobile clinic. Cristan showed Josiah a few Youtube videos of what his community looks like, but it won't be long until John gets to see that familiar place again. He's feeling much better today so he's all packed and ready to go home. Him and his "beshie" John will part ways today, but they're not too sad because, as John told us, they will "keep in touch through cellphones!" We hope that you keep in touch with him through Get Well Messages too! We'll be sure to read those to him when he comes back for a follow-up appointment! “He’s really itchy!” Cristine told us sympathetically. Poor Cristian’s face was twisted in discomfort, his toes and legs were itching, which is normal, but zero fun. We were able to extract a small smile though, thanks to all the Get Well messages he received overnight! Our kids and parents love receiving messages of prayer and encouragement from around the world, so feel free to add your well wishes under “Send a Message to Cristian” at the bottom of his profile! Christian and “beshie” John didn’t get the post surgery chatting in today that they hoped to. They were in almost the exact same position as they were yesterday, but today both were crashed out hard! Both boys had surgery this morning, but now, they’re are on the road to healing. 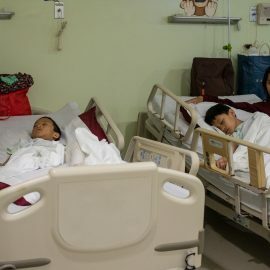 We were relieved to see them snoozing away, that’s a great sign that they’re comfortable, which can be a challenge in the hours after surgery. We know that your prayers are a big help too, so thanks for praying for our CUREkids! 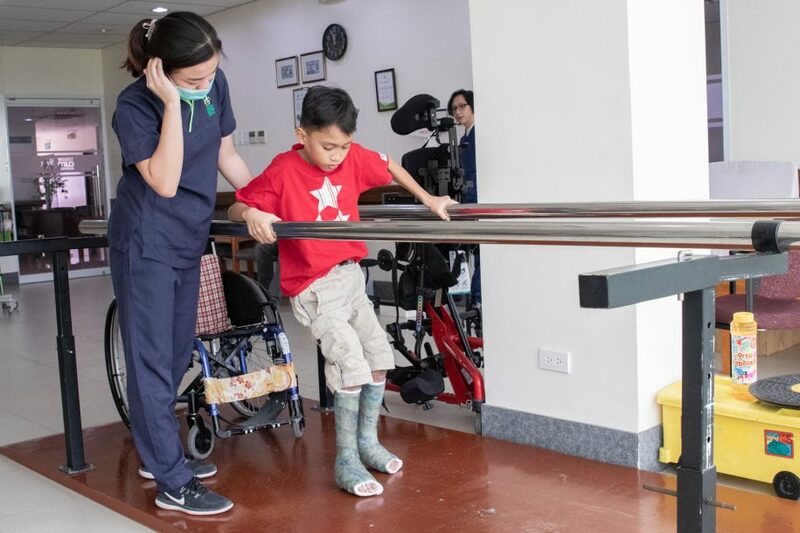 Cristian has had the same group of nurses do his cast changes from the start, so he was a little skeptical when Nurse Aileen came to remove his casts before surgery. “Does she know what she’s doing?” he asked, and we all reassured him that yes, she does! Cristian’s ward neighbor is his friend John, who is staying at the same guesthouse near the hospital. 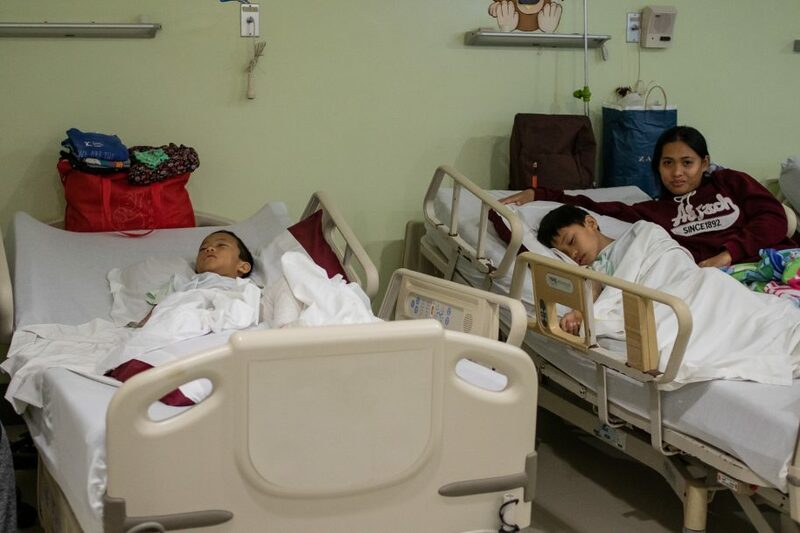 Cristian told us that the two of them could say “Hello, beshie!” (“beshie” is “best friend”) to each other as they go through surgery together tomorrow. Please pray for both of these boys! There are currently 43 different people who are a part of Cristian's support community. What about you? This is Cristian's 1st procedure. 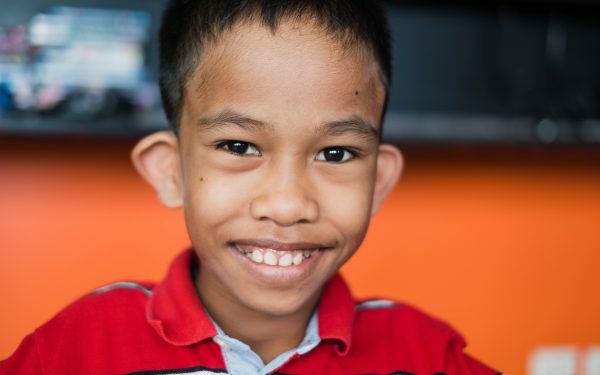 Cristian has had 1 procedure at CURE Philippines. Below are the before and after photos for each procedure. We're sending your message for Cristian to CURE Philippines. 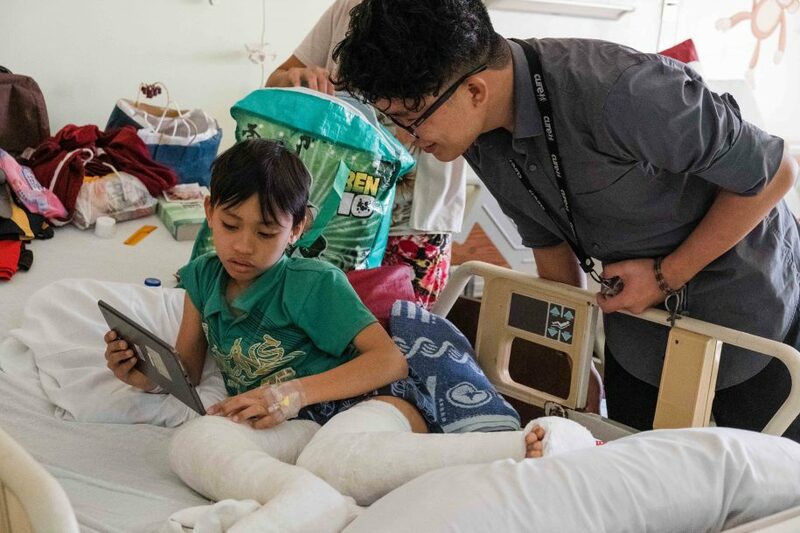 Every month, be a Hero to a child at a CURE Hospital, beginning with Cristian. Real-time updates will let you see the impact of your giving monthly! 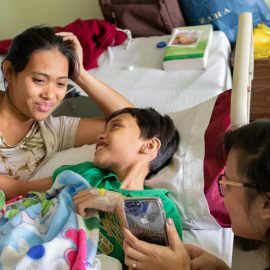 Your generosity will provide major underwriting for a surgery at CURE Philippines while you receive real-time updates on Cristian.